Beaded Indian Necklace w and Feathers By: Forum Novelties, Inc for the 2015 Costume season. If you're looking for a simple way to accessorize your American Indian Costume, consider this Beaded Indian Necklace w/ Feathers. 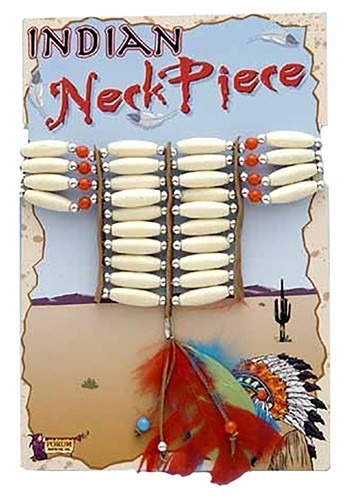 It looks like an authentic Native American neck piece and will add just the right amount of flare to your costume. Neck candy... you're going to need it.